We are very experienced travelers and I can say with confidence that Irene is one the very best guides we have ever had. Knowledgeable, personable, prepared, interesting, and caring. In the three days we were together she was more than a guide, she became our friend. 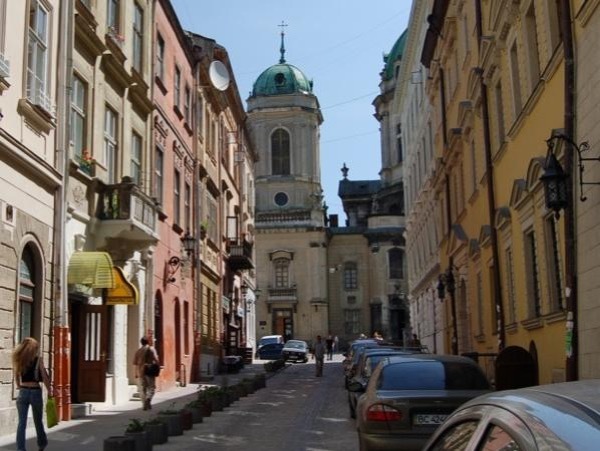 Irene loves L'viv and helped us to understand why. Thank you Irene for making our genealogy trip with our two adult sons so very memorable. TOUR GUIDE RESPONSE: Dear Alan, I am very glad you liked your trip and I was a bit related. I also learned a lot and am very happy that I met your lovely family. We have accomplished a lot, but still not everything. Hope, that we will have a chance to sing and play together on one of the stages in Lviv! Lots of love, Irene.